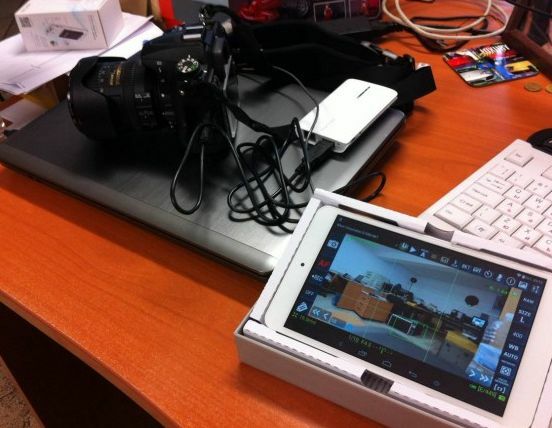 As many of was heard there is many expensive way to shoot wirelesly – like camranger and etc. Today I present for you most cheaper wireless shooting solution. It is based on TP-link product TP-MR3040 (it is wireless access point) and cheaper teclast P78HD tablet. Price for access point is about 35 US dollars and for tablet is 113 US dollars – total amount of 148 US dollars. For comparison price only for the camranger is 320 US dollars. Camranger itself is TR-MR3040 access point flashed with customized OPEN WRT firmware. You can produce own camranger hardware but you can’t register software. Thats why I decided to use dslrdashboard free solution from Zoltan Hubai – http://www.dslrdashboard.info. You can download Application for android from google play store. Soon Zoltan will release dslrdashboard for apple devices such as iphones and ipads.